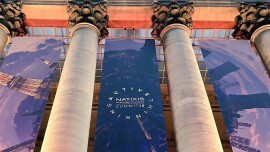 Natixis Investment Managers Singapore (Registration No. 53102724D) is a division of Ostrum Asset Management Asia Limited (Company Registration No. 199801044D) which is licensed by the Monetary Authority of Singapore as a holder of a capital markets services licence for fund management under the Securities and Futures Act, Chapter 289 of Singapore, and an exempt financial adviser under the Financial Advisers Act, Chapter 110 of Singapore, in Singapore.